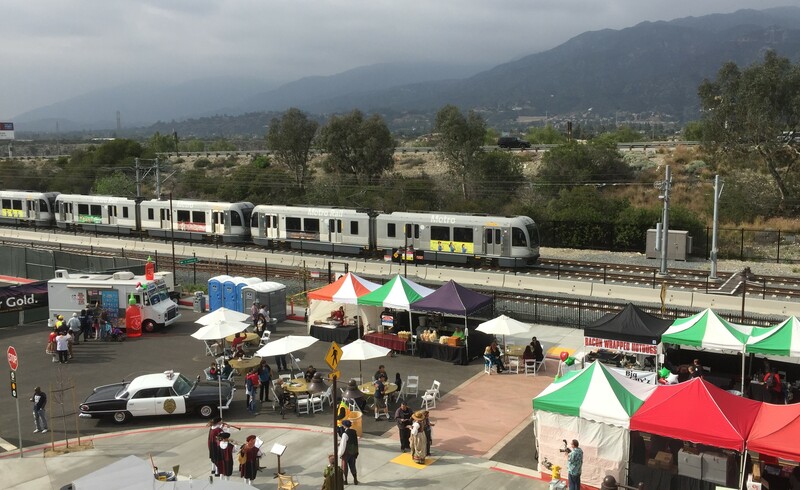 Last Saturday, Metro extended its growing rail network, celebrating the grand opening of the 11-mile Gold Line Foothill Extension. 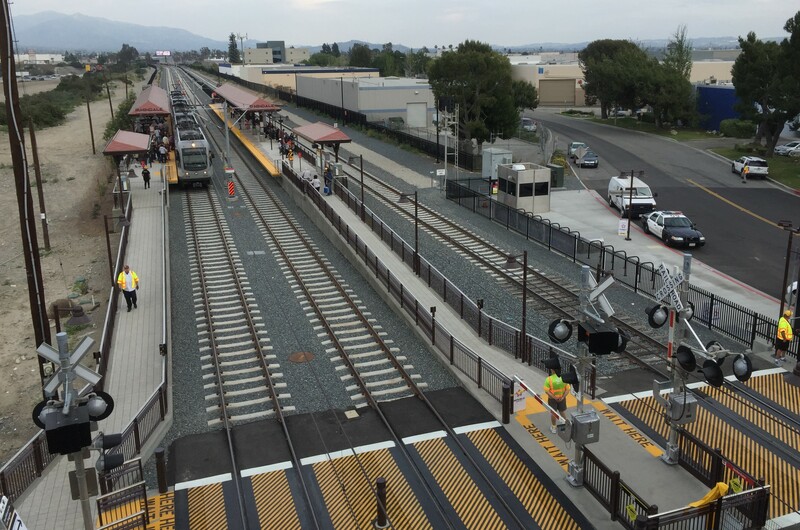 The initial phase of the Foothill Extension includes six new stations in five San Gabriel Valley cities: Arcadia, Monrovia, Duarte, Irwindale, and Azusa. Additional future phases would extend the Gold Line to Ontario Airport. 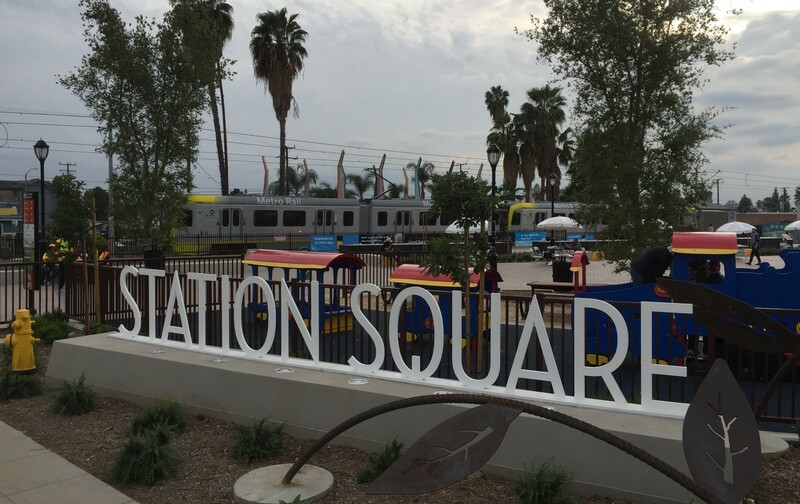 Kick-off festivities began at the Duarte/City of Hope station, where a crowd of more than a thousand gathered to hear remarks from Metro board members, numerous representatives of the cities along the route, Metro’s CEO Phil Washington, and other luminaries. 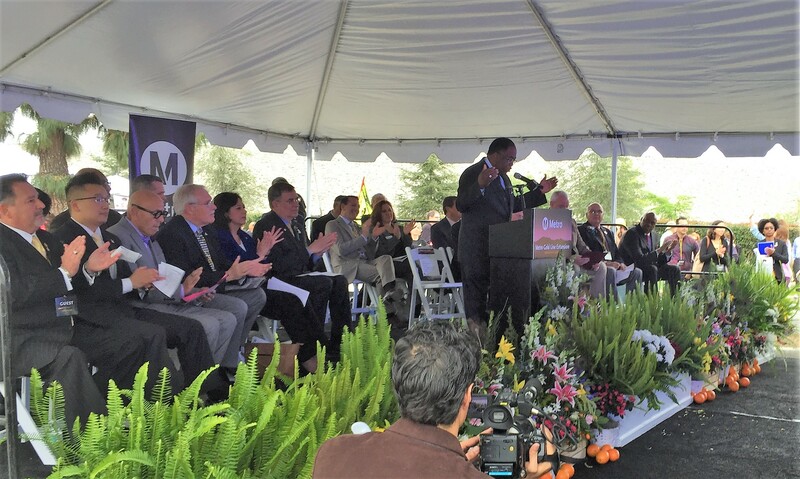 Metro CEO Phil Washington announcing the opening of the extension that makes the Gold Line Metro’s longest rail line, in what is now nearly 100 miles of Metro rail. County Supervisor and Metro board member Mike Antonovich welcomes the Foothill Gold Line. 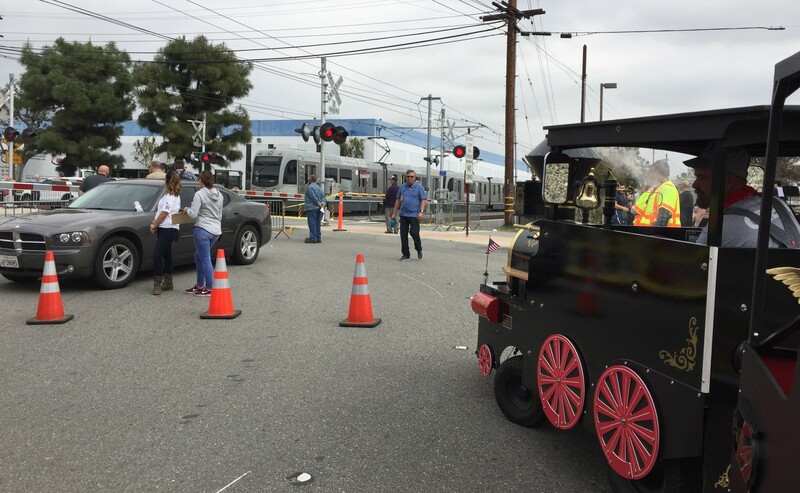 The initial train departed Duarte Station about 11:20 a.m. to celebrate at other stations along the line. 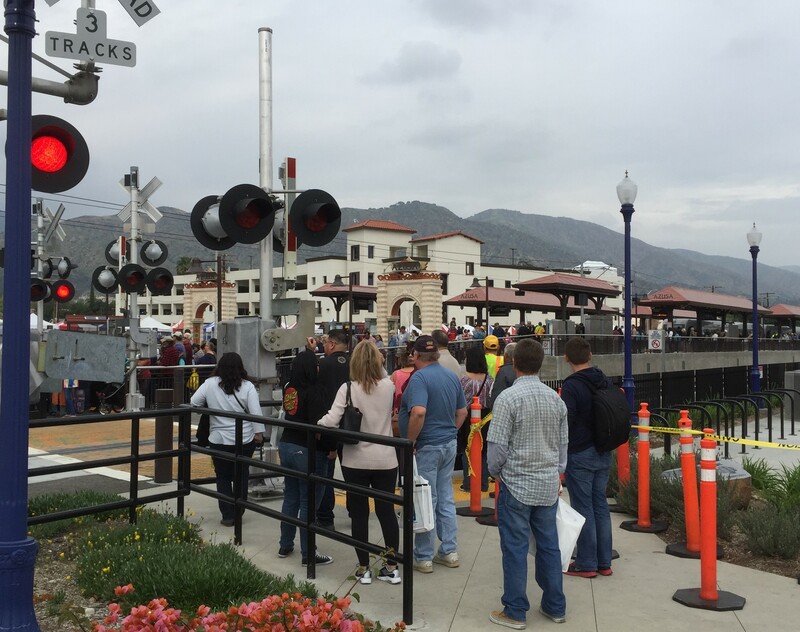 Hundreds of people waited in line for the free train rides starting at noon. All afternoon, there were long lines to board trains, which were standing room only. 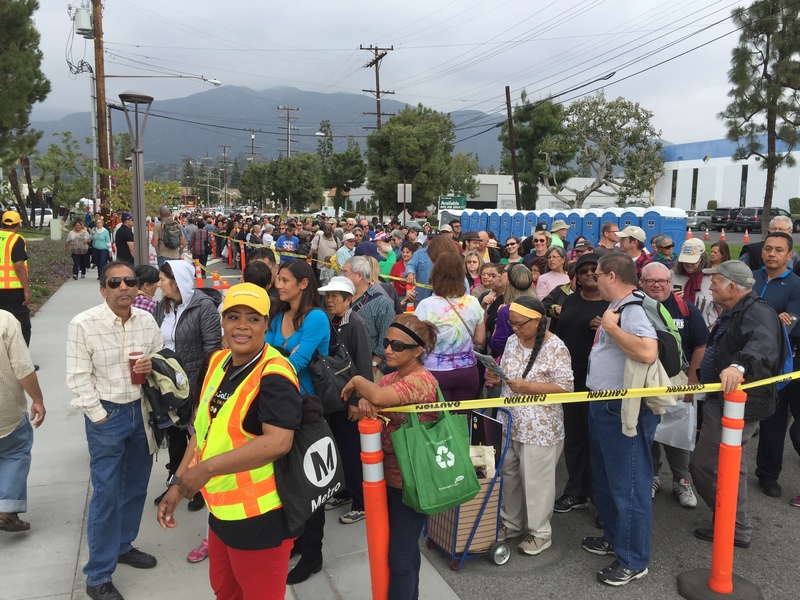 Hundreds of people wait to board the Gold Line in Duarte. Cities along the line hosted popular opening day festivities, featuring family activities, food, music, information booths, and much more. 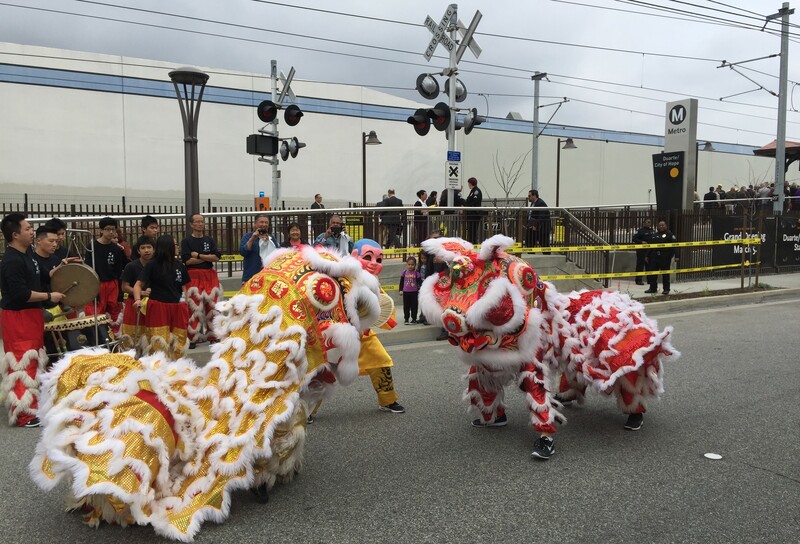 Chinese dragons dance at the Duarte Station. 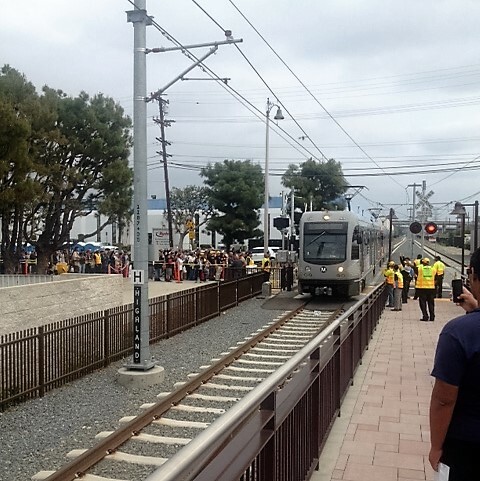 Aboard a children’s train ride, watching an early light rail train arrive at Duarte Station. 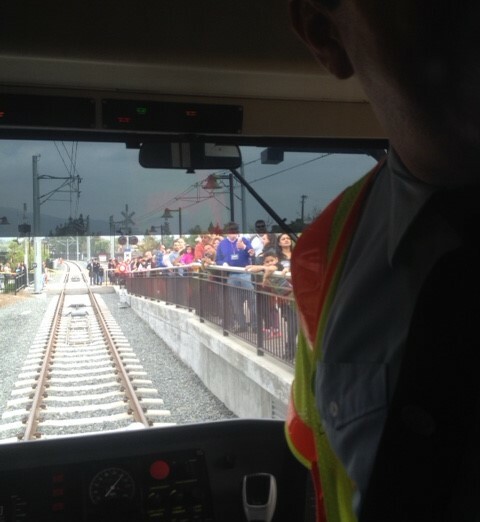 Free rides and large crowds continued celebrating the new rail line all afternoon. Below is a photo tour of the new line from west to east, Arcadia to Azusa. For more pictures from on the train, see SBLA’s earlier preview post. 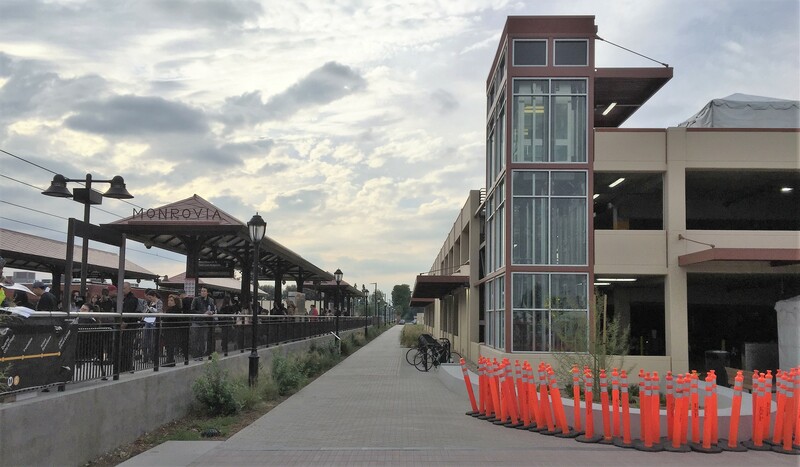 Monrovia’s Station Square features a pedestrian plaza, outdoor theater and train-themed park. 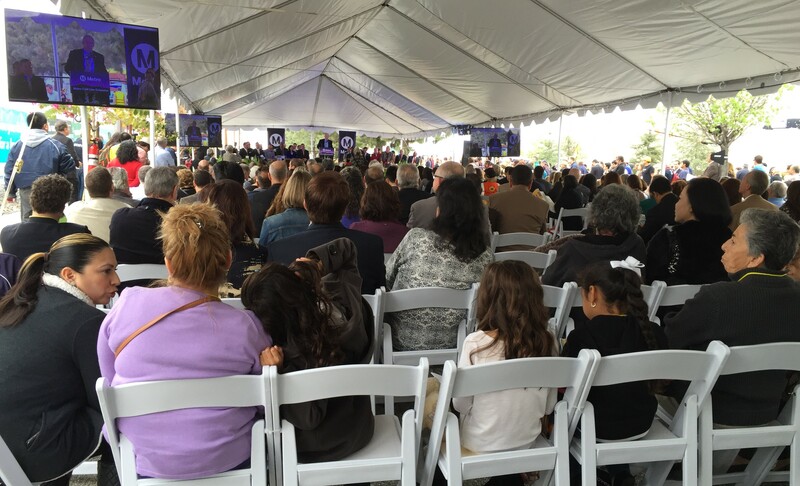 All in all, the opening drew large crowds of people excited to experience and celebrate Metro’s newest line. Hopefully many of them enjoyed the ride, and, now that they are familiar with the Gold Line, they will make transit part of their ongoing travel choices in the future. Unfortunately, a freeway crash closed a portion of the Gold Line yesterday, but repairs were completed in time for this morning’s commute.